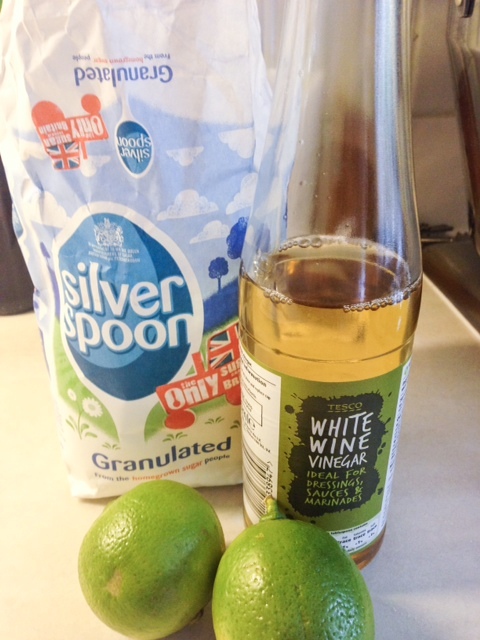 Homemade Elderflower Champagne – So Easy To Make! 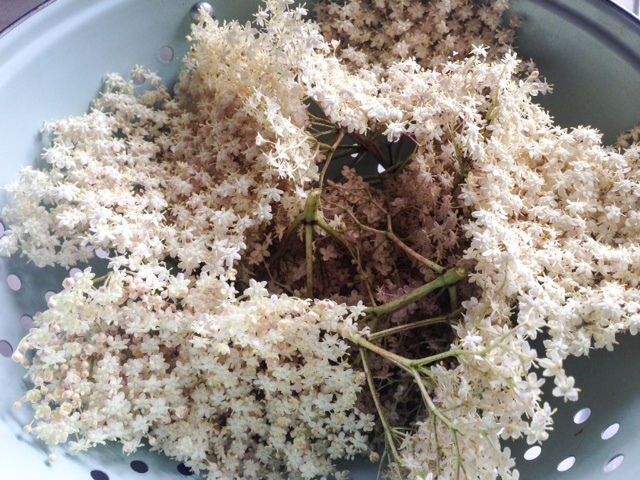 Last year when we moved out to The Pentlands I was delighted to find the hedgerows bursting with Elders and have been intending on making Elderflower ‘Champagne’ – this year, armed with a friend’s tried & tested recipe, (and said friend) I finally got around to it! 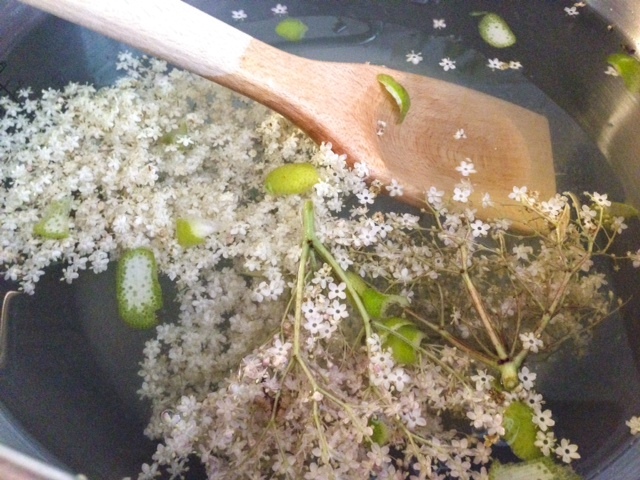 It’s beyond easy to make, in fact I’ve just made a second batch (and if I can collect enough bottles before it dies down, I’ll make another too, ho hum, a genuine excuse to drink wine on a school night :o) All you need is a few elderflower heads, sugar, wine or cider vinegar, a couple of lemons (I actually used limes in my second batch for a comparison) and water! There are hundreds of recipes online, all slightly different but with the same key ingredients. You basically mix it all up and leave to stand for 24 hours, with a stir every few hours or so and then bottle up and leave. Apparently it’s ready to drink after just two weeks but it does recommend leaving 6-12 months. 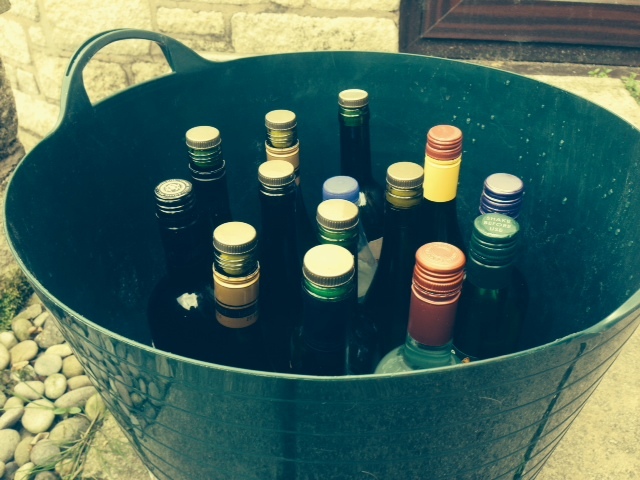 We’ve now got enough to try regularly throughout the year – for comparison purposes clearly). Plant Food Maker – has anyone got/used one? Yeah, you must try vodka soaked melons.